Beat the heat and quench the thirst natural way. How do you drink water? Bottled? From the refrigerator. When I say I still drink water from terracotta pitcher or ‘matka'(in Hindi), I know you are going to think I am crazy. Or perhaps you would think I live in an era 200 years back. 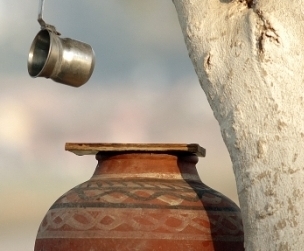 In India too earthen pot, to cool and store water is fast going out of fashion. It is not so with me and a few who swear by the water from terracotta pot. Water becomes cool and more tastier and it actually satisfies my thirst. 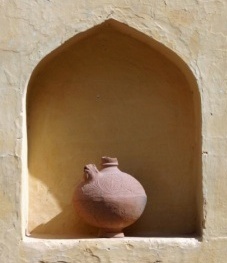 The terracotta cools the water by up to 14 degrees through a natural evaporation process (More in surahi- another word for earthen pot- different in shape-narrow neck). 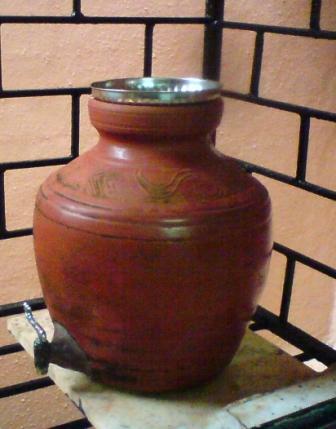 ‘Surahi’ or better still surahi made with black clay cools water faster and becomes much cooler. This is Doshi-Levien terracotta water vessel with diatomite filters, brass tap and enameled tripod stand. 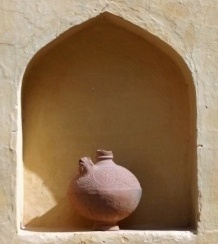 ‘Matlo’ or ‘matlu’ is gujarati word for terracotta pot. I wonder why Doshi-Levien is not mass producing their ‘matlo’ in India. 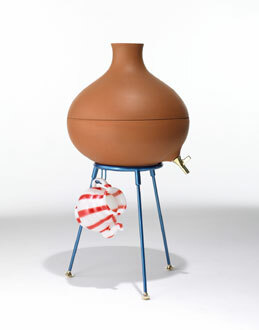 I love my eco terracotta water cooler! 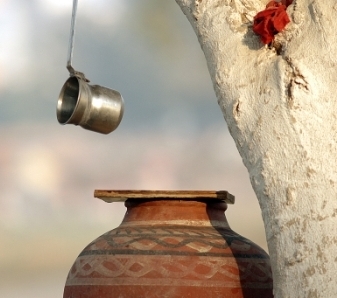 In north India you can get matkas and surahi in every city. Roadside hawkers sell many designs of them through the hot summer months. And they are pretty cheap too.